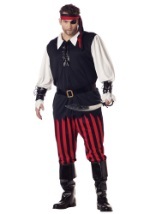 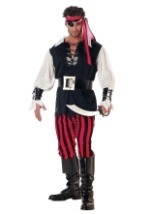 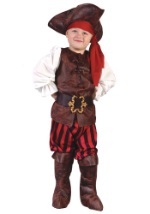 This Halloween, let your child transform into a fearsome pirate with this Kids Cutthroat Pirate costume. 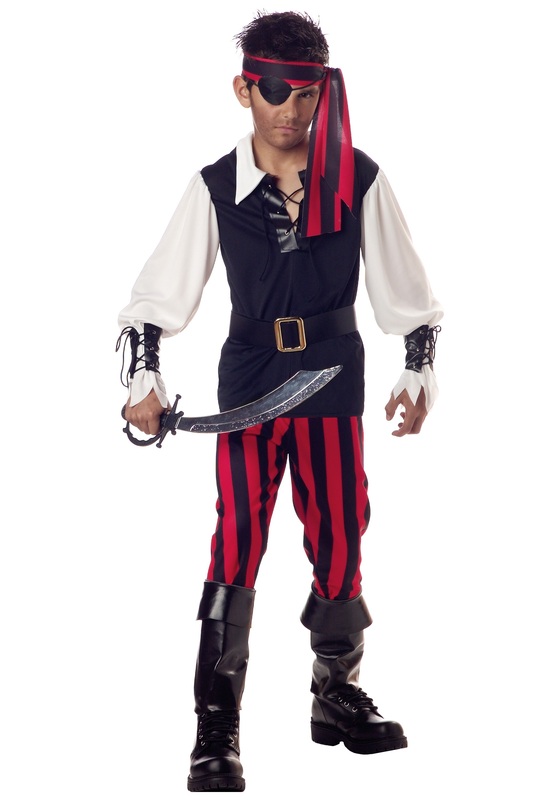 The costume includes a black and white polyester shirt that laces up the front and has long puffed sleeves, red & black striped pants with a matching head wrap, black vinyl lace-up wrist cuffs, black vinyl boot covers, and an easy to adjust black belt with a decorative gold buckle. 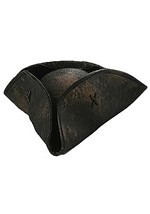 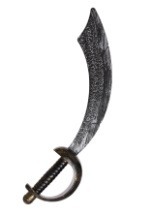 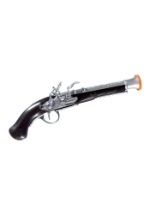 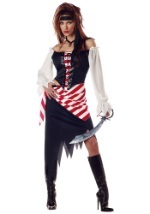 Add a costume sword or eye patch for an even more authentic look!